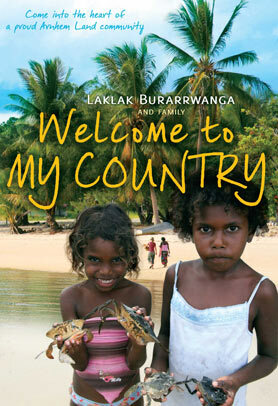 Welcome to my Country is the product of an innovative Indigenous-academic research collaboration, that focuses on the patterns, rhythms and relationships that underpin ways of being and belonging at Bawaka in Northeast Arnhem Land. The book, drawing on Yolŋu world, views takes a deeply systemic approach as it explores the relationships within and human/ecological systems and provides a rich understanding of some of the patterns, relationships, motions, rhythms of time and space that underpin the ways that Yolŋu relate to their Country. The book aims to educate non-Indigenous people about the existence and complexity of Yolŋu knowledge. The examples from Bawaka relate a longstanding knowledge tradition as Yolŋu people engage with and understood their environment in complex ways. Laklak and her family want non-Indigenous people to understand that Yolŋu people see far, far more than the surface beauty of their Country; that underneath the beauty are many, many layers of knowledge, connections, obligations, communications and understandings. For Laklak this book completes her strong desire for non-Indigenous and Indigenous people to learn from each other. With its unique and captivating style, Welcome to my Country, invites the reader to Bawaka. Laklak and her family speak to the reader as if they are present in Bawaka and therefore each chapter is centred around one day spent at Bawaka at a particular time of year and season. In each chapter a special activity takes place which highlights a specific concept, such as counting and sharing, astronomy and space, language and Country, kinship and belonging and the day ends with a story that reflects the 'lessons' of that day told at sun sets. Woven through the book and following each chapter is Laklak's story. These sections provide a personal perspective to recent and important events in Australian history, such as the struggle for Land Rights and the Homelands Movement which give us insights into how Yolŋu people live in Arnhem Land and what it means to live with Country in Australia today.